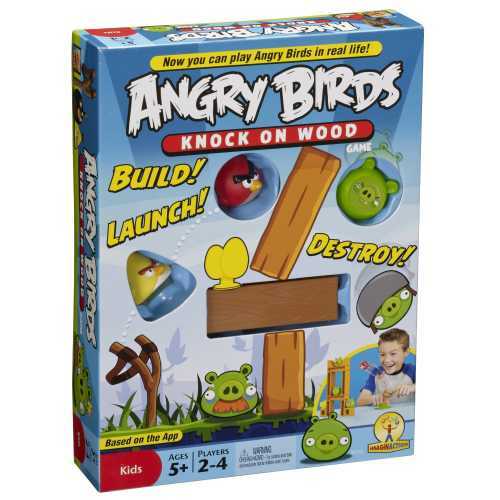 If you’re not familiar with the Angry Birds phenomenon, I don’t mean to be nasty – but you live under a rock. To learn more about the app, go here. In our house, this app is everywhere. We have three versions of the game, numerous sketches of Angry Birds in action (complete with “BOOM!” in my five year old’s printing). My son’s hockey team has named itself the Angry Birds. It is indeed life imitating app. But then, I think about when my brother and I were kids, and the Smurfs (version 1.0) were all the rage. He had smurf stuffed animals, smurf games, and for Hallowe’en… mom made him a smurf costume. He would rhyme off which Smurf he wanted to be (I was always Bernadette, the lone female in the Smurfdom). And his hockey team, called themselves the Smurfs. All because of a television show. ‘TV is taking over our kids’ lives,’ folks probably cried, holding their heads in concern. Is TV any more ‘real’ than an app? At least there’s interactivity with an app, I’d argue. While it’s interesting to see that kids’ fixations have migrated from television shows to apps, I’m not sure we should get all bent out of shape about it. That is, until my boys start launching things at our house. I read something recently about a trend away from the app world and onto the living room floor with board game versions of on-line games being increasingy popular with kids. Yeah for real life! Until I found this I thought I’d have to spend the day isinde.